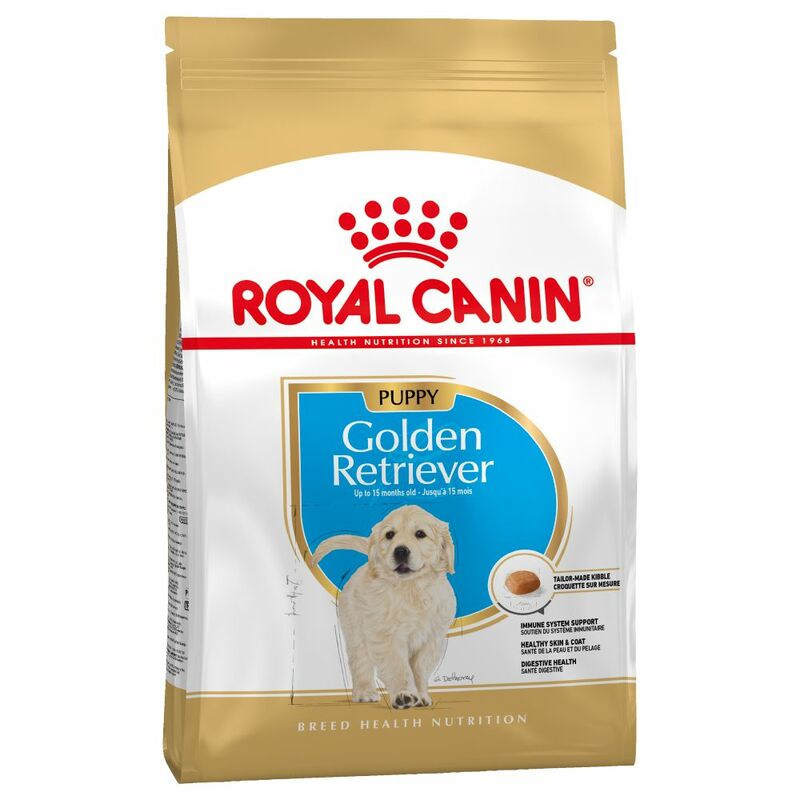 Royal canin golden retriever junior is specially formulated to provide young golden retrievers with all the nutrients they require for healthy development. Designed for golden retrievers from weaning to the age of 15 months. A common health issue with golden retrievers is sensitive skin. 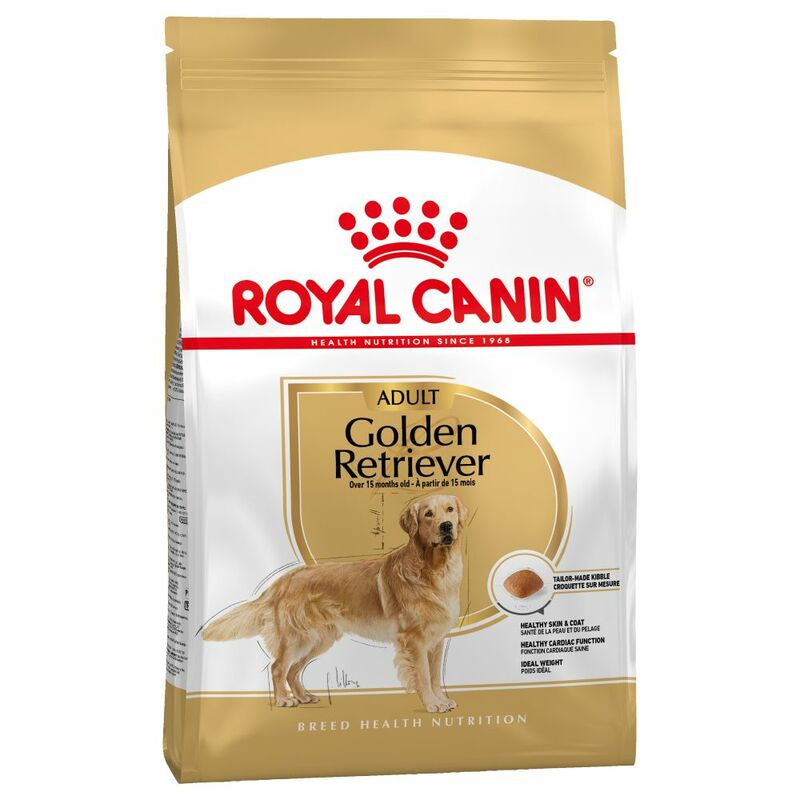 Royal canin golden retriever junior has special ingredients to help strengthen the skin and the coat. Prebiotics and highly digestible proteins also maintain a healthy digestive system and the tailored mineral, glucosamine and chondroitin mix supports the development and maintenance of strong bones and healthy joints.